Not from the East, but from Thine Eyes." Words: From a MS. in Brit. Mus., circa a.d. 1460. Source: Arthur H. Brown, ed., In Excelsis Gloria-Carols for Christmastide (London: Thomas Bosworth & Co., 1885), Carol #10, p. 20-21. 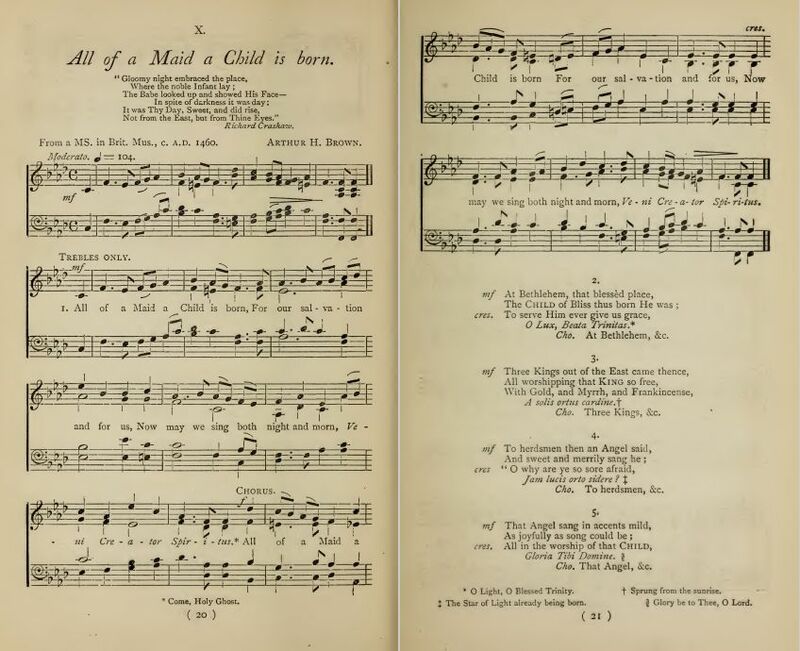 Sheet Music from Arthur H. Brown, ed., In Excelsis Gloria-Carols for Christmastide (London: Thomas Bosworth & Co., 1885), Carol #10, p. 20-21.